Garden Stone With Symbol - Silently We Grieve..
Home > Memorials > Memorial Stones > Garden Stone With Symbol - Silently We Grieve.. Silently we grieve and brush away the tears. The memories that you left behind will last throughout the years. last throughout the years.Memorial garden stone to honor a loved one. 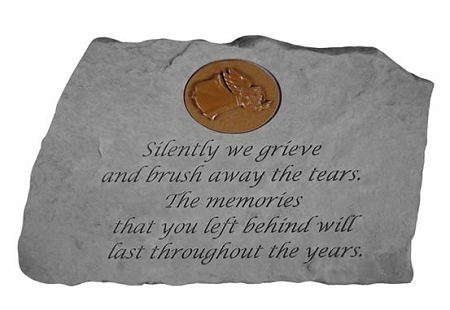 The symbol that is inset into the stone is designed to help grieving families by adding a meaningful, visual accent to the heartfelt words on the stone. 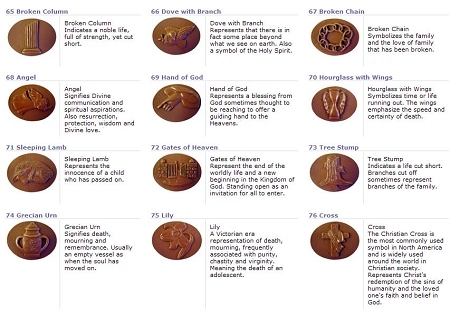 The symbols are sculpted in cold cast bronze. The garden stone is made of cast stone. Crafted of cast stone, this stone is weatherproof and has year-round durability. Made in the USA. Framed Memorial Stone - Remembering You Is Easy..